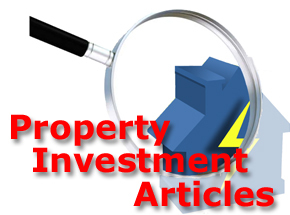 Currently viewing the tag: "rental properties"
Last month – 6th April 2015. the legislation concerning Capital Gains Tax (CGT) for Non-UK resident landlords came into force, which may seriously affect Non-UK property owners when it becomes time to sell their property assets in the UK. Any sale of residential properties in the UK concluded before the date of the legislation change, whether the property concerned was a main residence or an investment property and owned by Non-UK resident, should not incur any additional tax charges. 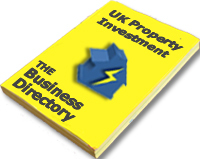 Great Free Property Investment Resources! And those property investors who answered the progressive survey wanted more practical and useful resources and additional online training to help them smash through the negative roadblocks that were holding them back. So with that in mind Progressive have launched the The Buy Refurbish Remortgage Blueprint – The “No-Money-Left-In” Secret [PDF] and it is available for a limited time so grab your copy now! Every year the Government publish Local Housing Allowance (LHA) rates that are periodically reviewed and payment levels in some UK regions may change without notice. The April 2014 – March 2015 LHA rates have now been published and the revised list makes interesting reading for landlords and letting agents who are willing to accept tenants claiming benefits. UK private rental sector landlords are able to ensure rental property profits by allowing their properties to be let to tenants claiming housing benefit (HB), with local authority rental payments exceeding buy-to-let mortgage payments. New data from the latest Countrywide Residential Lettings Index shows that portfolio landlords with multiple rental properties are the minority of the UK’s private rental sector. According to the research data, the average the size of a UK landlords’ buy-to-let portfolio tends to be small, with only 6% owning more than a single rental unit, however in London this figure reduces to just 4%. Countrywide also report that 56% of private rented sector landlords own at least 1 rental property within 10 miles of their own residential properties. When the data is expanded to account for buy-to-let landlords who live within 25 miles of their rental properties, the North East recorded 83%, followed by 81% in the North West and 71% in East Midlands. Landlords who live within 25 miles of their rental properties in London average just 60%. London has the highest proportion of landlords who live more than 100 miles away from their rental properties, with over 20% of UK PRS landlords doing so, twice the UK average. Wales and the East of England are more rural than other regions of the UK with less dense population clusters, so many landlords purchase properties in busier areas and choose to live within a commutable distances in order to keep an eye on their rental assets. The proportion of landlords living between 10 and 25 miles away in Wales and the East of England is the largest in the UK. Government housing minister, Kris Hopkins, has stressed the need for a fairer, more flexible private rented sector, and wants to raise standards of all rental property conditions and he intends to root out rogue landlords. The housing minister wants PRS landlords and their tenants to offer their views on what else the Government can do to tackle the problems in the UK’s private rented sector, and what action needs to be taken to further boost the growth of the sector. The UK Government has already introduced an array of new guidelines, including providing local authorities with over £6.5 Million (GBP) to root out and prosecute rogue landlords in their areas. The latest mortgage lending figures released by the Bank of England show that lending secured on residential property increased by £1.7 Billion (GBP) in December 2013, compared to the average monthly increase of £1.1Billion (GBP) observed during the previous six months of the year. The increase is generally being credited to the success of the Government’s Help-To-Buy scheme, with London leading the way on residential property price rises, but what is the real situation affecting the UK? As we reported yesterday (UK Property Boom Continues – Spotlight – 7th January 2014), the private rented sector boom looks set to continue throughout 2014 and a recent survey conducted by LSL Property Services, has discovered that six in ten UK private rented sector landlords agree. Giant UK estate agency, Savills are predicting a massive increase in the number of tenants living in the UK private rented sector (PRS) over the next five years. The company is also predicting that more UK housing associations will seize upon a fantastic business opportunity and that these associations will add to increasing competition for private rented sector landlords. Savills say there were 4.3 million tenanted households in the private rented sector in the UK during 2011 and tenant demand remains strong despite the recent upturn in the UK economy and recovering housing market, leading to the prediction of at least another 1 Miliion additional tenancies being required over the next five years. Are You Sat On A Property Time Bomb? How Can Property Investors And Landlords Avoid The Property Time Bomb? Avoid The Property Time Bomb? As we keep telling you, NOW really is a fantastic time to be investing in UK property, finance is more available, there are plenty of property deals out there and property prices are rising! Many people are beginning to think that we may even be entering a new property boom! However, is this really good news for existing landlords? You see, this situation could cause a really BIG problem for any existing landlords and property investors who own rental properties. Rising property prices will contribute to inflation, which in turn will probably trigger the Bank of England (BoE) to raise interest rates to slow down the economy and this is the potential time bomb if you currently have investment properties. The issue is that most property investors have become very used to the low Bank of England base rate of 0.5% which, means the repayment rate for many Buy-To-Let mortgages has been around the 2% to 3% mark.